Once you downloaded and installed Blisk, it should remind you of Google Chrome at first sight. That’s not surprising, as Blisk is based on Chromium, which is available to the public under a free license. The biggest difference to Chrome and other browsers becomes evident when accessing a website. 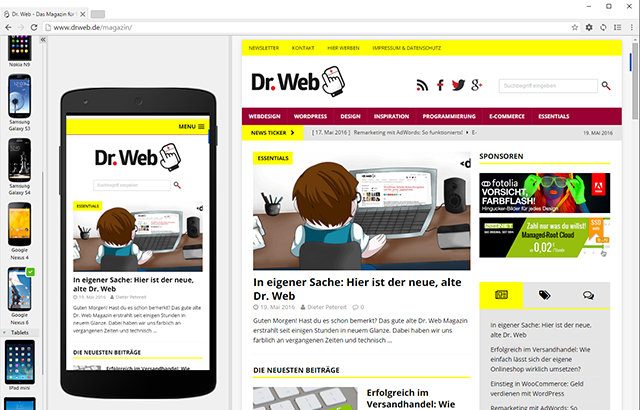 Blisk always displays the website in desktop and mobile view at the same time. In the right half of the screen, the page is shown as a classic desktop version, and on the left, the mobile view is shown. For that, you choose from a line up of common smartphones and tablets. For example, this allows you to easily switch from an iPhone 6 to a Galaxy S3 to see how your website is presented on each device. The website is always shown in a mockup of the respective device to make the appearance as realistic as possible. The display on mobile devices can be further controlled in touch mode, where controls are done via taps and gestures. 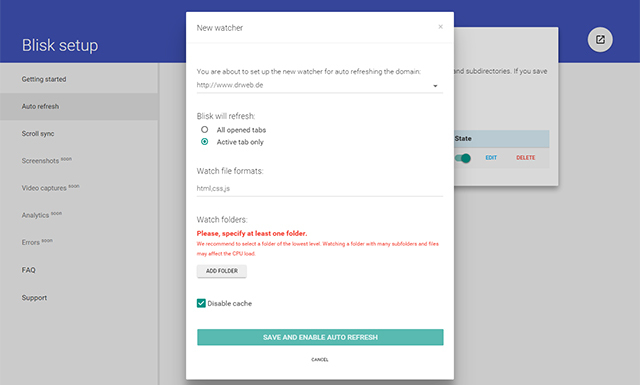 While Chrome offers this option as well, it is not as polished as it is here. In order for you to be able to optimally compare your website in desktop and mobile view, your website is scrolled in parallel on both views. This saves time, as you don’t have to scroll each view to get to a certain point on the site. If you don’t like the synchronous scrolling, you can simply turn it off in the settings. The menu bar contains a special button that takes you to the setup with the settings in which you can turn this feature on and off. Another very handy feature of Blisk is the auto refresh. It automatically makes the browser reload a website when the HTML or CSS source text of the page has changed. Whenever one of these files changes in the local index, Blisk automatically reloads the website with the entered domain. Those that run a local server, or automatically save files of their web project from a local file system to a server, will enjoy this function a lot and save a lot of time by not having to manually reload over and over again. As Blisk is still new, not all announced features are available. There are a couple of features that need still to be implemented. This includes the option to create screenshots of websites, as well as a video capture feature. An analytics feature which is supposed to measure the compatibility and performance of a website across devices is also in the works. Of course, Blisk also includes the classic developer tools that you know from Google Chrome. You can still check elements, and have access to cookies and the storages of your websites. Although Blisk doesn’t have its full scope of features yet, the browser is already an interesting alternative to Chrome for developers. It makes a lot of things easier, faster, and more beautiful. On top of that, Blisk is free and will supposedly gain a couple more interesting features. 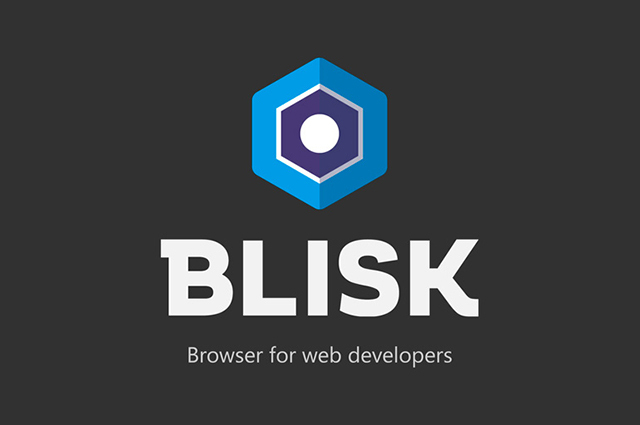 At the moment, Blisk is only available for Windows. Apple and Linux are said to follow, however. This looks nice. Have any other readers used Google Canary? Still the same bloated browser as Google Chrome. I want to see a fork that is more efficient than Chrome itself, not a rehash with some new tweaks. Sticking with Firefox and Polarity Browser.